Austin is getting our very own an Ann Saks! I can imaging every interior designer in Austin sining ‘Hallelujah’. Ann Saks is a tile distributer known for their incredible selection and variety of high end tile. Their showroom should be opening at the beginning of 2017. 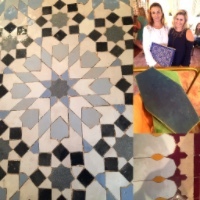 Earlier this month, Ann Saks hosted Ghalia Sebti, the owner of the hand-made Moroccan tile company Ait Maos. Their tiles were stunning and the craftsmanship and time that goes into piecing together each complex tile design is something to be admired. 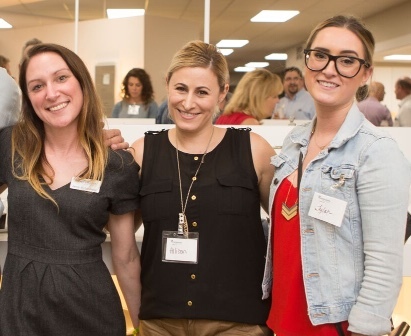 A big congrats to our friends at Home Expressions Gallery on the opening of their new showroom located off Burnet in the former Kiva space. I have been working with Home Expressions, formally Morrisons, for years now. Their knowledge and expertise makes me a big fan of working with them when it comes to selecting appliances and plumbing for and with my clients.